Support improving Guadalupe Street from 29th Street to 51st Street by designating it as an activity corridor. Many areas along this stretch of Guadalupe Street lack walkable amenities or businesses that neighbors or Austinites can use and enjoy. The city council is considering designating this stretch of Guadalupe Street as an activity corridor, which will allow more walkable amenities, including restaurants, grocery stores, and small businesses that provide jobs to local residents, as well as creating much-needed housing near the urban core. Allowing more housing will help address Austin’s severe housing shortage that’s driving up rents for renters and property taxes for homeowners. The city council will make this decision at their meeting on October 6th. Every email matters! Learn more about this issue in this Austin Monitor article or read the resolution passed by FAN members supporting this here. I, along with the Friends of Austin Neighborhoods (FAN) membership, support the staff recommendation to designate Guadalupe Street from 29th Street to 51st Street as an activity corridor. 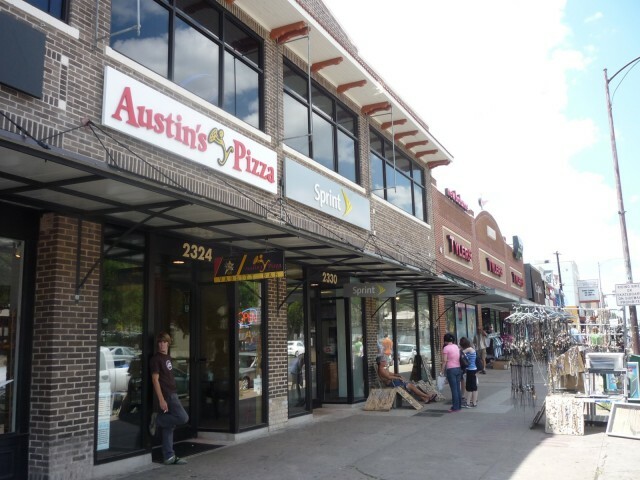 Residents of neighborhoods along Guadalupe St. as well as other Austinites deserve greater access to jobs and walkable amenities, including restaurants, grocery stores, and small businesses, as well as much-needed housing near the urban core. Thank you for your time and please consider voting to designate Guadalupe Street from 29th Street to 51st Street as an activity corridor. Our communities need a neighborhoods-based voice that is inclusive, innovative, and supportive of neighborhood improvement rather than the unsustainable status quo. Every member that signs up helps our cause! When there are votes on issues that impact Austin like this one, you get to weigh in by voting online along with all of our other members. Signing up is free and just takes a few seconds by clicking the button below.